Home / News / Nintendo / switch / The Escapist complete edition coming out to Nintendo Switch. The Escapist complete edition coming out to Nintendo Switch. UK, 30th August 2018 – Team17, a global games label, creative partner and developer of independent, premium video games and Mouldy Toof Studios have sounded the siren and has a new alert to share. 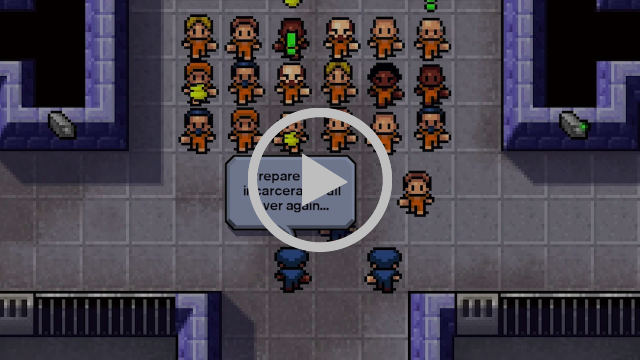 Serving time across a wide variety of platforms since its initial incarceration in 2015, indie smash hit The Escapists has been recognised for good behaviour and will make parole on Nintendo Switch™ later this year! The release of the award-winning sandbox prison-escape will be the most content-packed version of the game ever released and will include all the prisons from the base game plus nine bonus maps, including one which has never previously been released on console, Fhurst Peak. Escaping won't be easy though. You'll have to work around the strict prison schedule and avoid the unwanted attention of guards! Multiple ways to escape - A variety of different methods to bust your way out including digging out and prison takeovers! Deep crafting system - Gather the necessary items you’ll need to craft items for your escape plan. Craft tools such as Cutters, Shovels, Sheet Ropes and weapons such as the Sock Mace, Comb Blade or Cup of Molten Chocolate! The Escapists: Complete Edition is rate T for Teen and will be available to download for Nintendo Switch™ later this year.